This unique downtown vacation rental with recent antique home restoration is available for families, individuals, business travelers and recreational enthusiasts. The recent remodel in this historic property invites inhabitants to enjoy hard wood and rock floors, 16 foot ceilings, crown molding, French doors, main street views, dining for eight and sleeping for four. 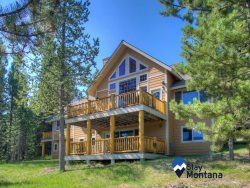 While visiting Bozeman, this turn of the century accommodation places you within casual walking distance to fine restaurants, boutique shopping, and all the abundant outdoor activities Montana has to offer. Montana on Main places you in the heart of Bozeman's historic downtown district and captures all the ambiance of an intimate evening!